I have had a hard time this week choosing which game to log into. I just hit level 45 in Lord of the Rings Online and the Book 10 update is full of things that I really want to see. While I feel I’m in a rush to get to 50 in LotRO and check out the raid dungeons and the PvP zone, I feel much more relaxed when I click on my little EQII icon instead. It has been a while since I played a MMO by myself and I’m surprised at the enjoyment I am still getting out of it. I play MMOs specifically because I love to meet and group with other people and explore content together. This is the first time I set out in a game to just learn about the world and let the grouping and community take a backseat. As of last night, I have only grouped with one other person and kept my conversations in the chat channels to a minimum. What I am trying to avoid is those jaded few who feel compelled to drop snipes about the game intermingled with their weak recommendations to new players. A time will come when I will need to join a guild to experience some of the larger content but I am in no rush to get there. For now, I am enjoying my lackadaisical approach to discovery. I will try not to let this journal become an Everquest 2 review. That is not my intention here. 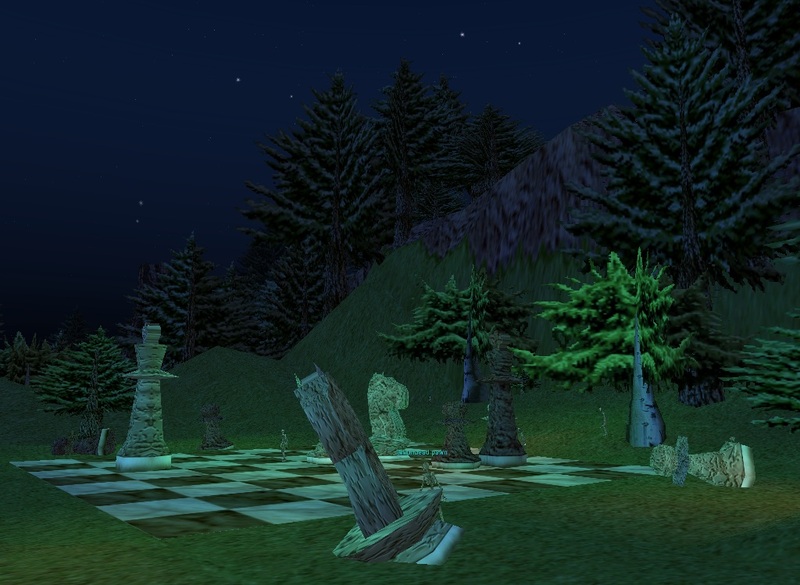 I would merely like to track how I see this world that a lot of people have come to love and interpret it in its current state through the eyes of an Everquest newbie. The lore here is obviously rich and I have a lot to explore and learn about, but I hope my experience with other MMOs will help me navigate through the world and bring me atleast a fraction of the fun that I have heard this world can provide. When I logged into the first character creation screen, I immediately thought of Vanguard. The number of races available in EQ2 is equally astounding and what is even clearer is that the world I am about to jump into has some clearly defined lines of alignment. There is what I remember to be a mid sized group of good aligned races, an equally sized group of evil races and then a third mix of neutral races. I went Switzerland and chose a Gnome. I haven’t had the inclination to play one of the smaller races since I had a gnome in World of Warcraft. If you read about how impressed I was with the amount of options available for the UI, its exactly the same way I felt about the character creation process. While I had little to choose from in terms of statistics or ability customization, I did have an artists palette to work on my character’s looks. There were a myriad of choices for hairstyle, accessories, skin tone and physique and in the end I walked away with a snobby long-nosed gnome with a dark set of spectacles to boot. I was happy to hear that the voice of my character was not the campy high pitched annoying sound of my nightmares. Not only was I able to choose one of the “Professional” voices to make him sound kind of like a college professor, but there were other choices as well. Its customizations like this that are making my time in EQ2 even more enjoyable and I can understand why veteran players are so attached to their characters. I chose to start my adventure in the Nursery, the starting village for the Fae and part of the newest expansion to Everquest 2. Once my character had popped into the world and I was done familiarizing myself with the interface, I started to look around. I couldn’t help but feel I had chosen the wrong place to start. Everyone in the area was a Fae and all of the NPCs were as well. 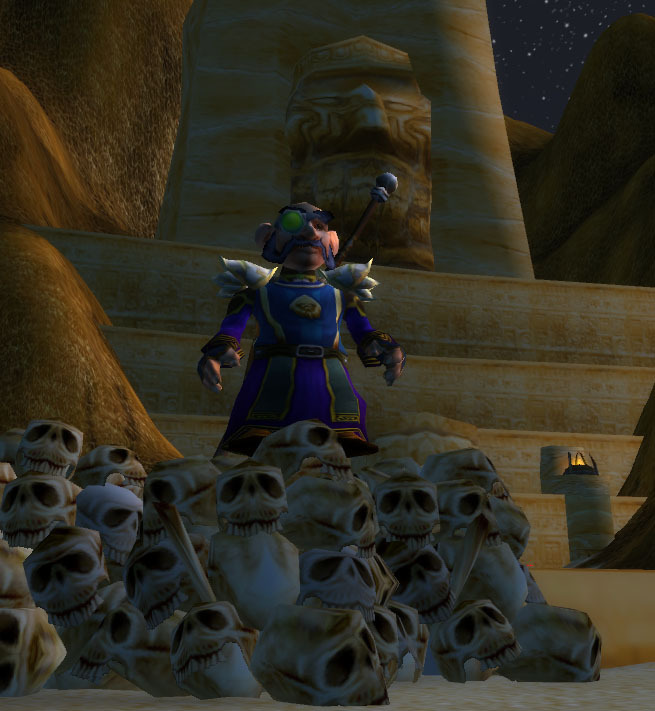 It wasn’t until a couple of quests later that I ran into a dwarf in a mine and began to feel right at home. I run into this a lot in LotRO, especially because I play a burglar there. My main role in groups was to be the person who initiated those maneuvers. Groups that did not use this combat ability found themselves in longer battles as they had to do more DPS themselves. If this chain does even more damage when grouped than it does when solo, I can hardly wait to find myself in a good group of players who don’t neglect an interesting and integral part of the game. Starting the game with a single 12 slot backpack made me nervous when I began accepting the obligatory gathering quests. What I was really excited to see was that not only did these items show up readily on the mobs I needed but they also held no spot in my backpack! Eureka! A moment ago I was thinking about praising LotRO for giving me 5 large bags at the start, but now I am cursing the One Ring for making me keep atleast a bag full of random quest items throughout my entire life on Middle Earth. It was a great relief to see this change as I hate having random items in my pack. I feel forced to do a spring cleaning when the amount of crap gets too high and spend a good amount of time going through every quest, checking before throwing out the garbage. What a waste. Another part of the system I found intriguing was the group of white colored quests I was accumulating at the bottom of my journal. These arrived in my log through items I had gathered on mobs and I was briefly disappointed that this was just another group of gathering quests. I had thought I was going to have to backtrack and take back the praise for the way the game handles quest items but I was quickly sated when I realized I had to examine the items to make them disappear from my pack and fill the entry in my journal. These quests had various rewards with some being immediately more worthwhile than others. I was pretty psyched that by intercepting enough orders among a group of orcs, I was able to decipher their language and can now see what they are really saying. I can’t say I was expecting salutations, but it was kind of fun to hear the telling me I’m about to be pounded into the dirt. The journey from the beginner area to the larger region of Greater Fayedark was seamless. I found myself being shuffled to the largest city, Kelethin, and headed there as soon as I got my bearings. The city was a bit hard to navigate until I figured out that the Guards offer help locating any other NPC in the area. They do this by asking you for the name of the person you are looking for and upon confirmation you then receive a brightly colored cord that winds its way through the city like the pseudopod in The Abyss. It directs you right to the NPC you need! While it does have its quirks at times, its a nice feature to have just starting out in the world. The quests I had from wandering the city and on the path to the lifts were more than enough to keep me going until level 10. I found myself returning to the same NPCs to continue helping them on various jobs and at the same time learning more about the area and its history. I’m not sure if this region was in the original game, but it seems that there is some great lore about battles with dwarves and elf standing side by side, pushing back the dark elves and doing everything they could to stop the fiery destruction of their home. It was great to learn about a couple of the battles from one of the dwarves in the city as he clearly outlined how the current invasion came about and why I needed to pay tribute to the dead. I had done this tribute for my recall ability but had little clue as to why. This conversation I had with the dwarf also led to a “Heroic” quest. I have no idea what this means yet, but I’m glad I took the time to listen to this dwarf. There are more people like me out there. I can’t be the only newbie playing Everquest 2! Well, in case I am right, here are a few tips that may help you get your feet wet and possibly save you some frustration and make the game more enjoyable. If you feel any inclination to try out the crafting in Everquest 2 or know right now what you want to do as a trade-skill, I can offer only one piece of advice. Gather every piece of harvest-able resource you can find and hold onto these until you start the crafting quests! This may cause your pack to fill quickly but believe me it is going to be worth it. When you start the introduction, the game guides you through 9 different crafting quests, each requiring gathered materials that you need to find to complete the quest. The good thing about this is that EQ2 does not limit your ability to harvest different resources and the bank slots you start out with are large enough to hold all of the material you gather. Once you are in a town with a broker, take a minute to search for a couple of bags to increase your inventory size. All of the bags I found were very reasonably priced and of a decent size. You have 6 slots available to place the packs in and if you plan on going through the above mentioned crafting introduction, hold off on buying one of these. The 10th quest in the series will reward you with a 10 slot harvesting pack. There are a variety of chat channels to access and each of them has proven to be very helpful for the past week I have been playing. You can access each channel in the window by using the regular /1, /2, /3. I have found the most help in a channel called [Good_Help], but I received a response on almost every channel I had talked in. If you think you are missing an item from your backpack that you know you had just picked up, check your bags to see if they are full. If they are, press “I” to open up your character sheet and take a look at the bottom of the sheet. You will see the 6 slots there for your bags and if any one of them happens to be available, excess items will go here until they and your bags are filled. After this you will no longer be able to loot corpses or chests. Start drinking any alcoholic beverages you come across and get that stamina up! Word is from the street that high end bosses force you to drink pints of dwarven ale before you can even set foot in their dungeon. You won’t be much help to the group if you can’t even stand, so get drinking and make your parents proud! Okay, that last one was complete bull, but its a real skill in the game and who knows how it could be integrated. The crafting introduction did little to help me understand the process that goes on once you hit that “Create” button at a crafting station. It seems I run into complications that I can do very little about and basically just have to sit back and hope for the best. Granted, I have yet to not complete a recipe, but I have no idea what is going on with the blue and green bars in the progress windows. It is possible that this will be explained in a later quest and I am just getting a little ahead of myself? This is a fantastic chessboard that I have yet to find a quest for. Its located on the forest floor north of Kelethin and looks very interesting. I love little easter egg games like this and I hope to come across the quest soon. I would love to shed some light on your questions for you, but I’m still figuring EQ2 out myself. Granted, I played it at release, but things have changed quite a bit since then. I haven’t done much crafting since returning, but I understand there was a relatively large tradeskill revamp some time back, so what I know is probably obsolete. Kelethin was in the original game. It was the home to the wood elves and was constantly under attack by the Crushbone Orcs. 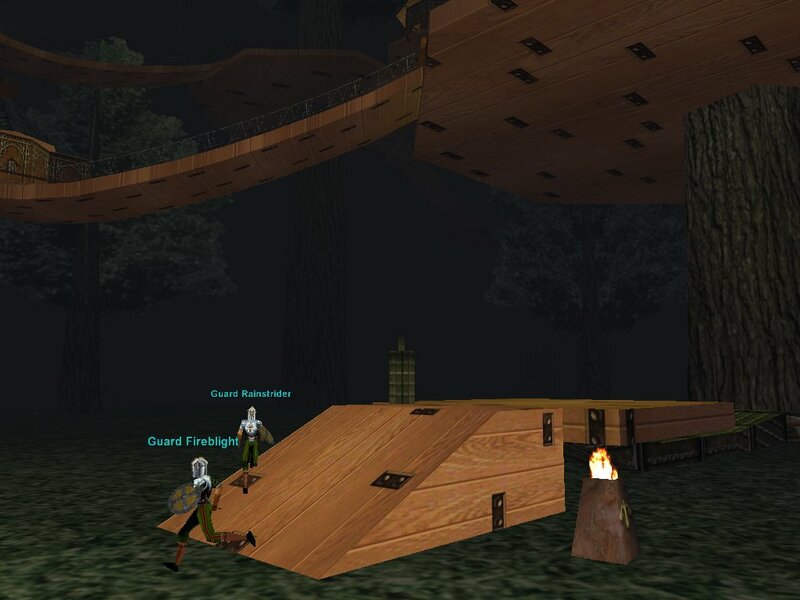 (http://everquest.allakhazam.com/scenery/gfaydark-podlift.jpg) I died more times than I care to admit falling out of that city back in my early days. That is one thing that I have always appreciated about EQ2… they seem to have done a really good job at keeping the lore in tact between the games. I’m hoping to be back online tonight. I nearly have my cold licked, so hopefully I will be able to see you soon in game. Now don’t take this a truth. 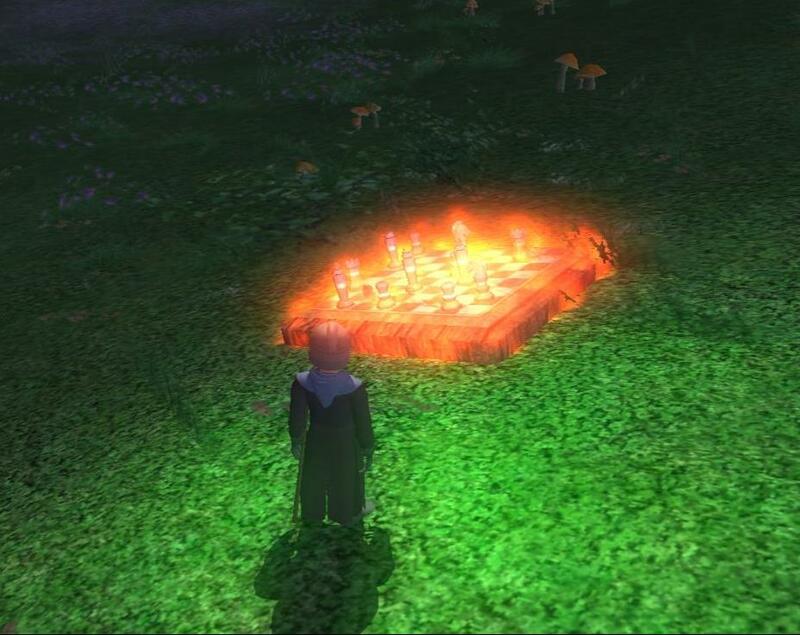 But there are 3 chessboards if I can recall in the game. The first you see in the picture is the lowest level area one. There are two more in two different tier 2 areas(Lvl 20+). I am LOVING my return to Norath as well.